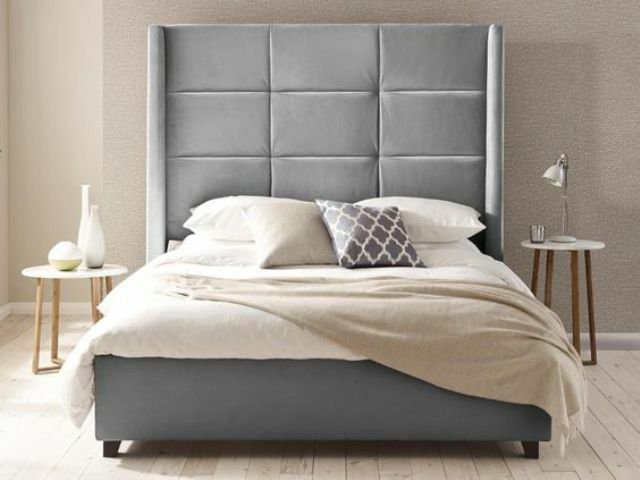 An upholstered headboard is a great solution for any bedroom – adult or kids’ one, feminine or masculine, glam or industrial. 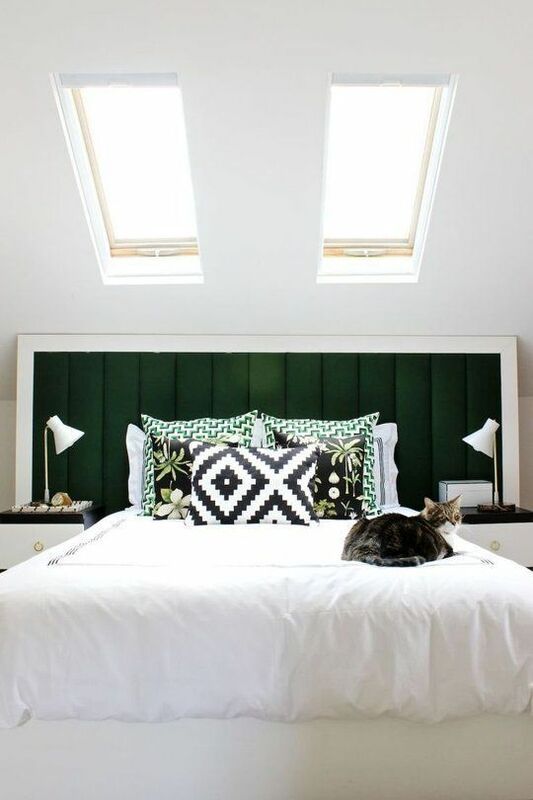 It’s comfy, easy to maintain and you can make it yourself and renovate if needed. 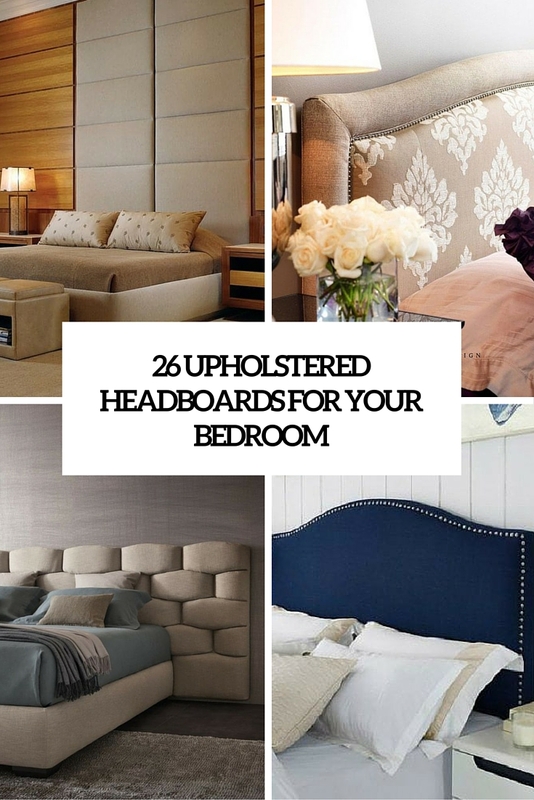 There are various types of upholstered headboards to choose from, let’s have a look at them. 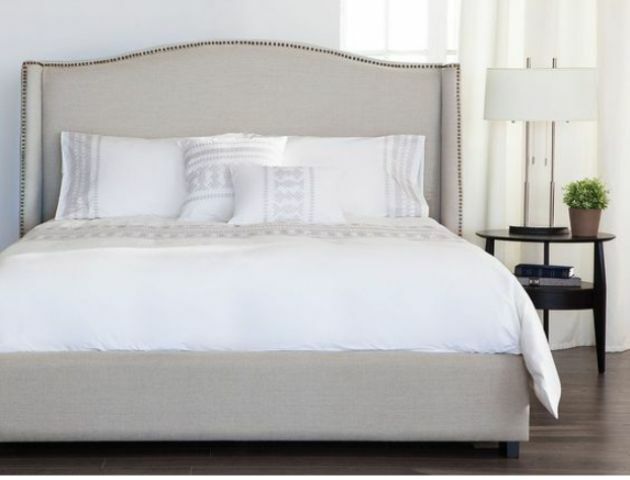 I’d like to start with the hottest trend in bedroom décor: oversized headboards. 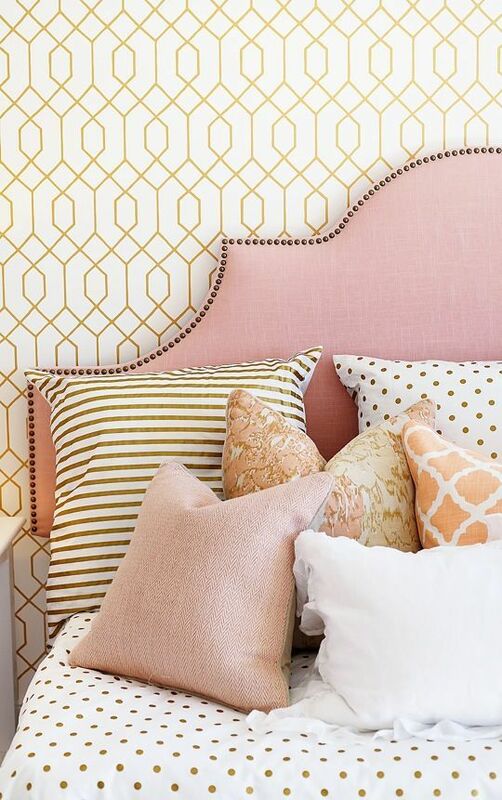 Just like oversized wall art, they make a statement and almost become one, especially if you choose bold or patterned fabric. 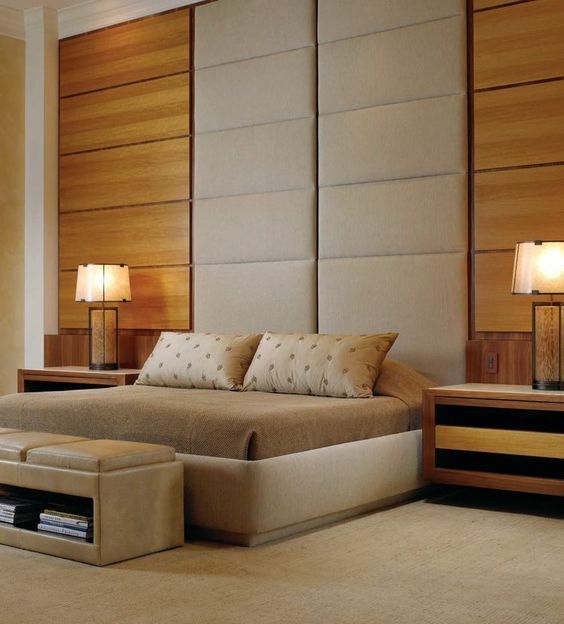 An oversized headboard coming up to the ceilings looks luxurious and will make your bed a comfy sleeping area. 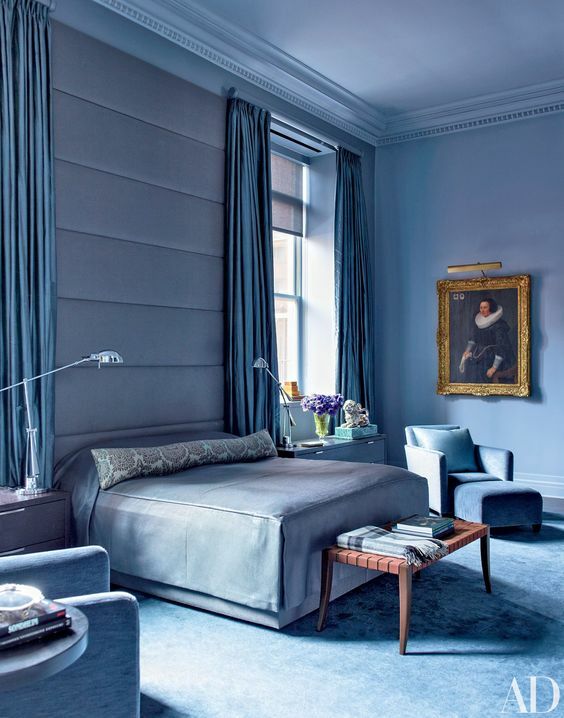 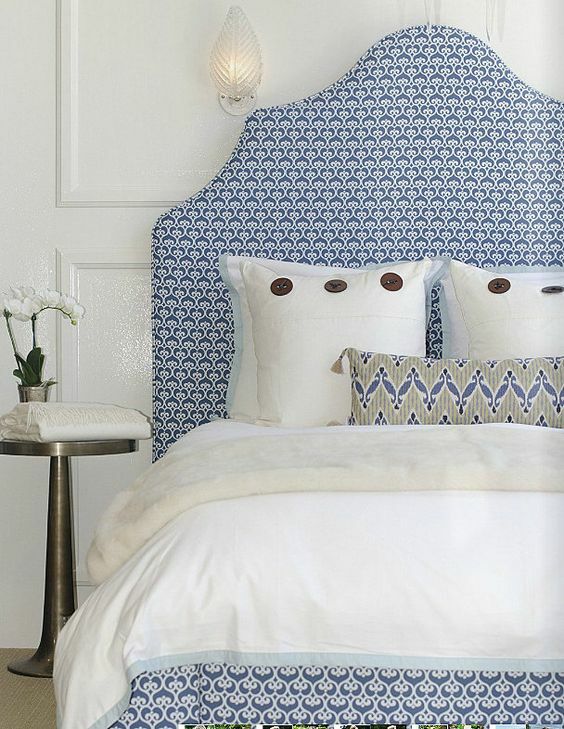 A tall headboard is another cool alternative to an oversized one, and it’s no less chic. 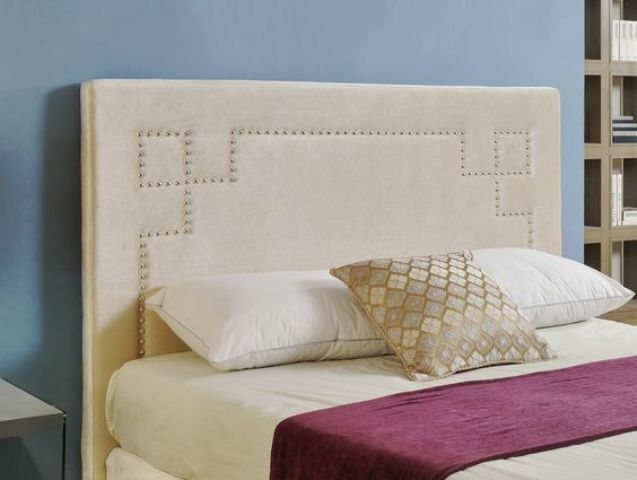 Whatever fabric you choose, frames, shapes and other stuff, you can always highlight your upholstered headboard with a nail trim. 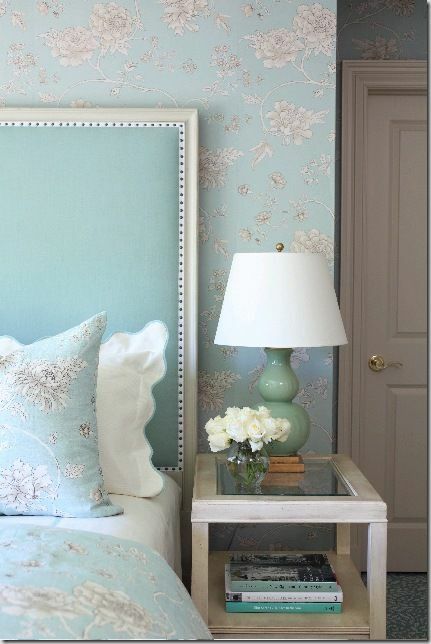 If you are making it yourself or have just bought it, just add decorative nails at the end creating patterns or just highlighting the edge. 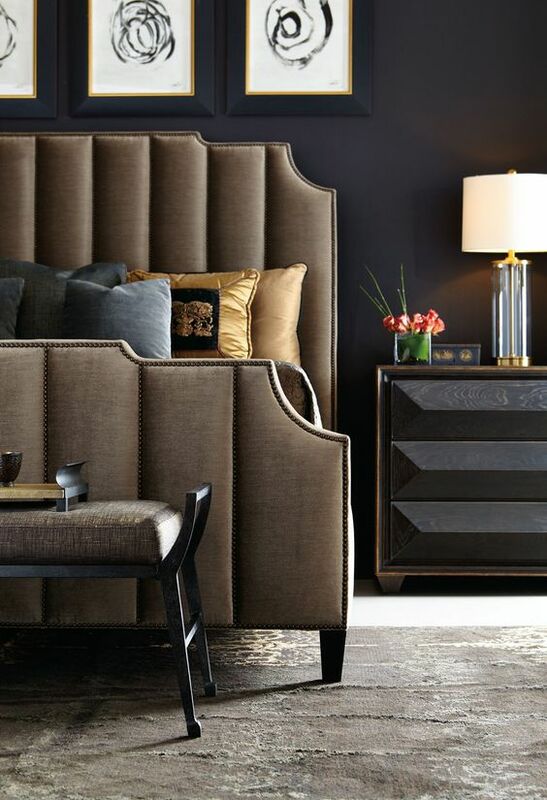 Wingbacks are a cool and cute detail that creates an impression that you have a separate comfy sleeping area. 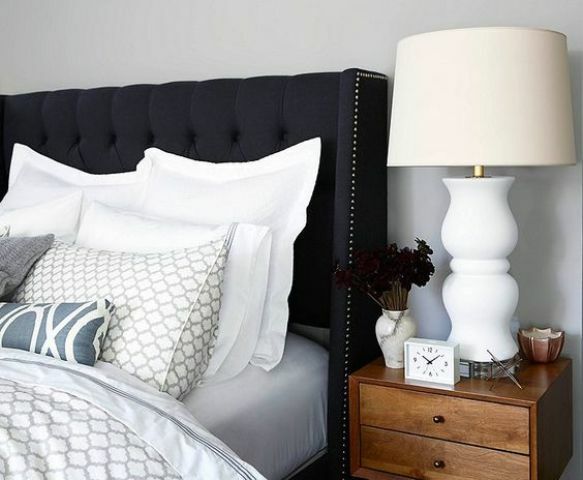 You can use these wings for lights or else and decorate them with nailhead trims. 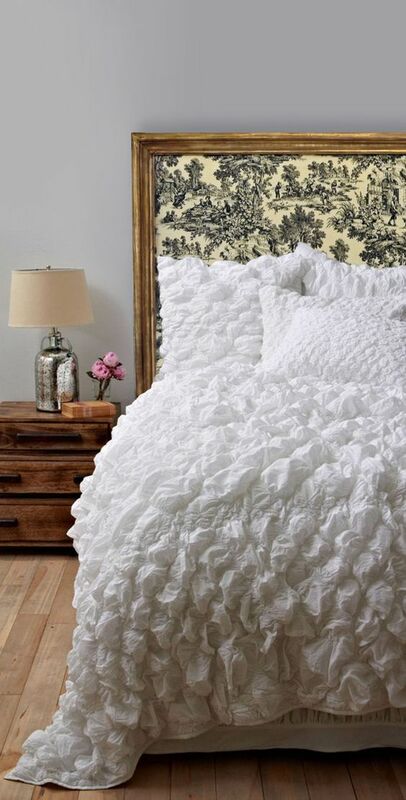 This is a great idea, especially for vintage and shabby chic bedrooms. 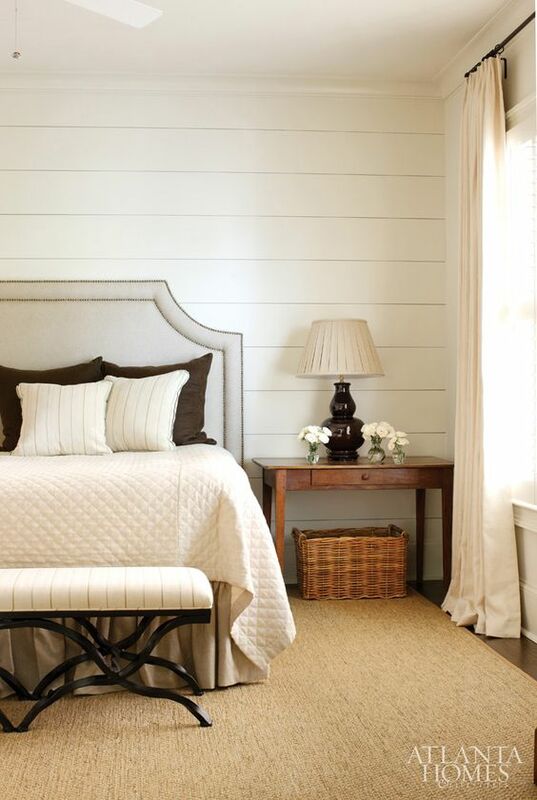 Choose or make an antique frame for your headboard to achieve a cool look. 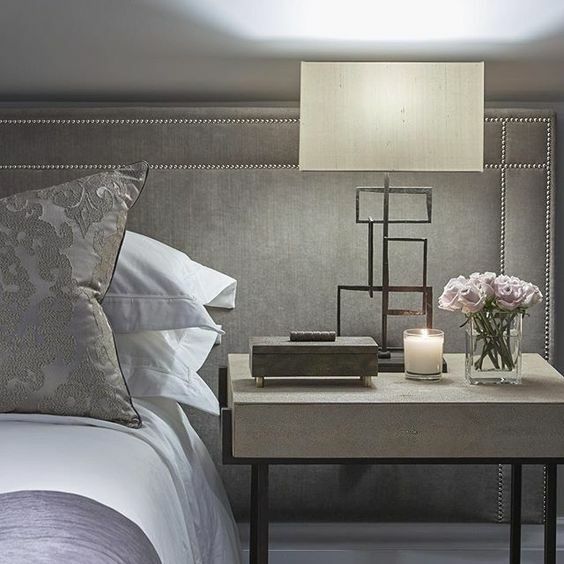 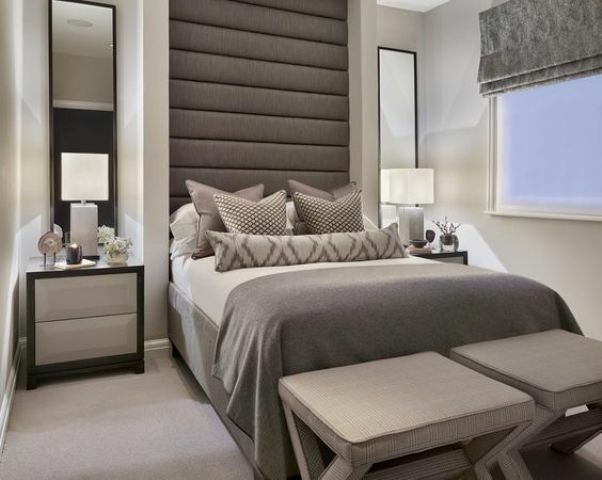 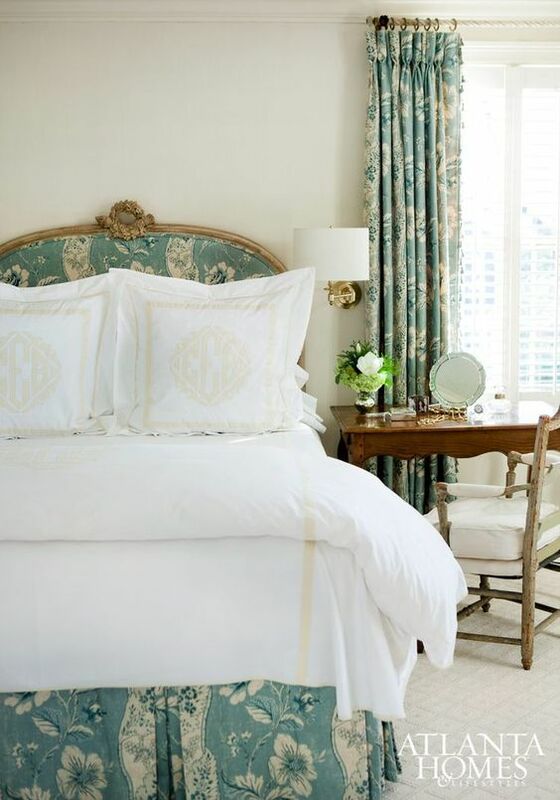 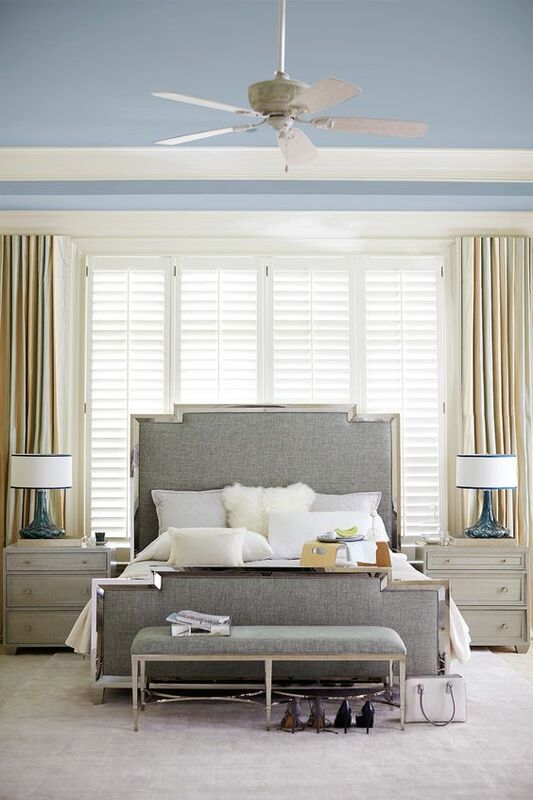 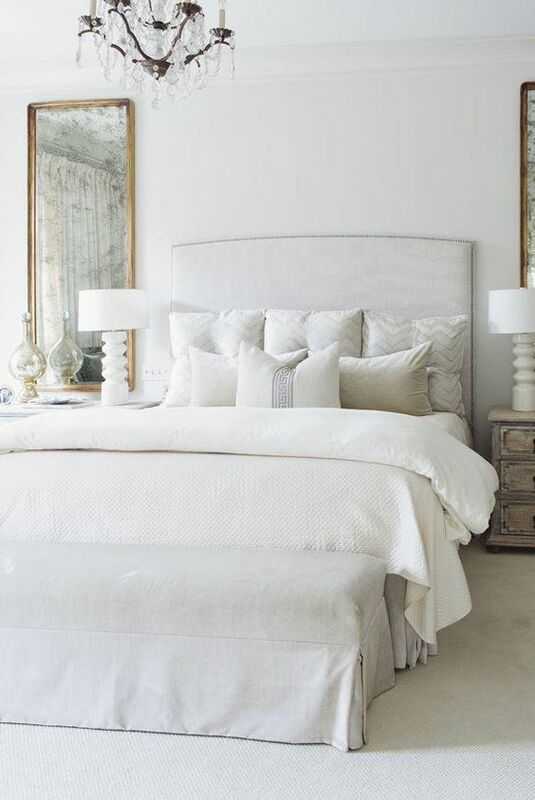 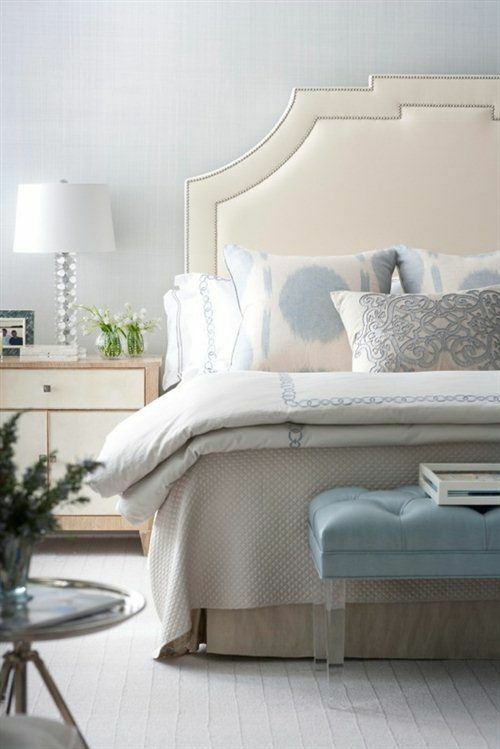 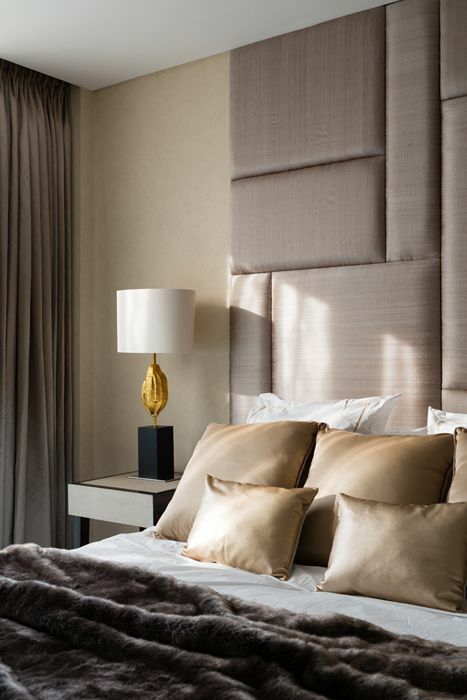 There are also modern metal frame and mirror frame headboards that look gorgeous and give that light metallic accent. 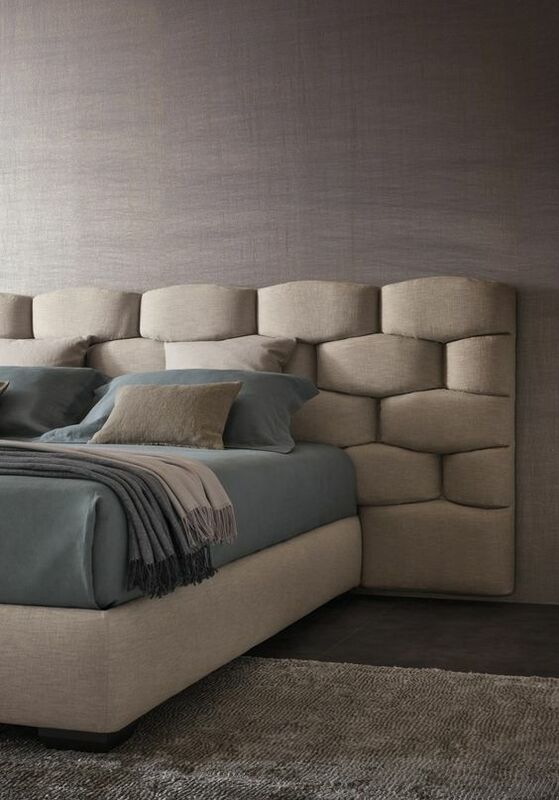 There are more cool upholstered headboards, have a look below.